This ER-136-300 RT-MUA has the added feature of intake air with the duct connecting the unit to a roof-mounted intake hood. Depending on site requirements, fresh air make-up can be provided either through the roof or a side-wall. 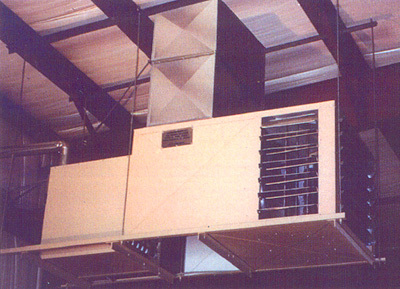 Additional heaters can be added to temper larger volumes of fresh air. An optional distribution tube provides more direct control of the heated air from this sidewall ER-130-200 SW-MUA. 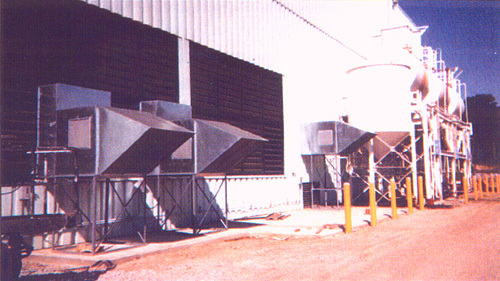 Small discharge holes can be custom cut to provide the best air flow coverage. Round tubing is shown but rectangular tubing is also available. Color choices are white, black, and blue. Material thickness of either 7 or 11 mil is offered. 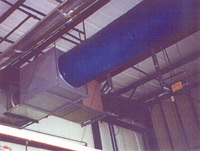 The demand for filtered air is increasing. We can provide the solution with a wide variety of options. Call us today for information. Please contact Air Energy Systems, Inc. at (317) 290-8500 to learn more about our various products and services. We welcome the opportunity to partner with you on your next project. Is the Winter Cold Causing Problems Heating Your Building?